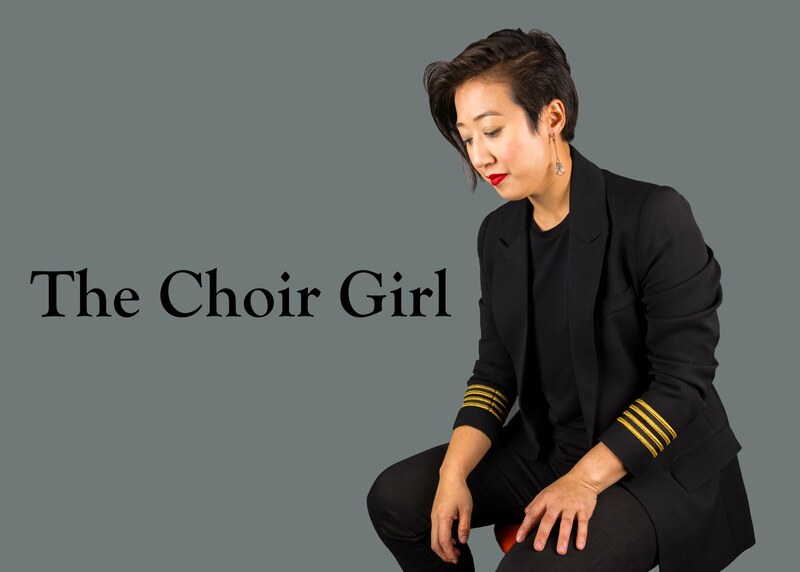 The Choir Girl: Broadway & Choir? One may believe that Broadway and Choir are closely related entities; however, they were very much separated musical entities in my formative years of choral training. Moving ballads from Andrew Lloyd Webber had no place among the classical choral pieces I was trained to love but one cannot deny the popular draw of musical theatre numbers. Thus, every year, Cantilon Choir hosts a Broadway Gala to fundraise and showcase the musical talents of the choristers performing Broadway music. I was surprised to hear that this years was the 9th Annual Broadway Gala. That means I have been doing the gala for 9 years! Mind you, the first Broadway Gala is almost nothing like the Broadway Gala now. We have maintained the singing, the costumes, the piano only accompaniment and minimalistic to no props on stage (risers not included). It used to be a sit down dinner at the Italian Cultural Centre with silent auction. We would enter the stage in full choir formation and sing Broadway pieces in a static manner while wearing costumes we put together ourselves. It took a few years before we (shockingly) added last minute choreography to one of the numbers, more specially, "It's a Hard Knock Life" by Annie. I still remember leaning against my friend Leanne on a riser, pretending to be asleep and hearing the creaky curtains of the Italian cultural centre open to show all the choristers fast asleep as if we were abandoned orphans. We promptly woke up when we heard the piano entry to the song and we sang the whole song while flinging blankets and pretending to fold laundry. Everybody was so buzzed by our incorporation of movement since it is something our choir had not embraced before. Needless to say, movement became an integral part of the Broadway experience. We employed a choreographer, Dawn, the following years to teach us movement techniques for particular songs and she was very helpful and taught us all how to smozzle (forming group clusters of people (with various heights, kneeling, sitting, and standing) on stage at varying locations) and tried to keep things simple for those physically challenged with the demands of dance. However, I felt there was a real change in the last few years where we utilized the talents of a Cantilon Chorister to choreograph some of our dance numbers. It was easy to learn from her clear, instructive manner and it felt like each year the Broadway Gala increased in quality. We sang in a range of venues from the Cultural Centre, the Provincial Museum theatre, the Timms Centre for the Arts, the Citadel's MacLab Theatre, before settling down at the Arden theatre in St. Albert. It can be seen we have gone from community stages to professional theatres throughout Edmonton. As well, the genesis of a male choir has formed with the last few Broadway shows. A few years back when we needed men to sing some solos for Oliver, a chorister volunteered her father to sing the part of Mr. Bumble. He had a stunning bass voice and it was exciting to have a change in sound. Each year we also had male choristers who graduated from our treble voice choirs and found that this was the opportunity to bring their talents back on stage. Thus, when we put on Guy's and Dolls three years back, we finally formed a men's chorus. This chorus was comprised of graduated male choristers with changed voices, father's, brother's, uncle's and anybody else who managed to hear we were looking for men. There are still those men who I don't know or where they came from. Suddenly, there was so much possibility! Of course, the men were still horribly outnumbered but it was wonderful to have the diversity of sound and have a group of men on stage for "Luck be a Lady." I'm sad I missed last year's performance. As for musical theatre you know how much I LOVE it and strangely enough, my first solo pieces for musical theatre was "It's a hard knock life" from Annie. My choir experience was much different than yours in the fact that my teacher promoted musicals, fun songs and we rarely did classical pieces. I started those mainly in highschool with choir. I think, though those 'fun songs' early on really built my passion for singing and the story a group of people can tell with their voices. We also did very basic choreography to some songs, like hand movements for most of our performances and when I moved to the grade 4-6 level there was an integration of bells, etc. DUDE - your first Broadway Gala was so awesome! You were all apprehensive about the choreography but it worked out really well. And it was the first time I had wine because your dad poured me, like, a tablespoon and laughed at me when I almost choked to death on it.